Wow! Really nice backgrounds! I love the sense of lighting and the pushed perspectives. Ohlalla tes couleurs sont magnifiques !! J'ai hâte d'en voir plus sur ton projet ! Et puis hâte qu'il sorte surtout !! 2012... c'est loin, ça, 2012. Trop. Wow that house is amazing. Supers décors et très belles couleurs ! 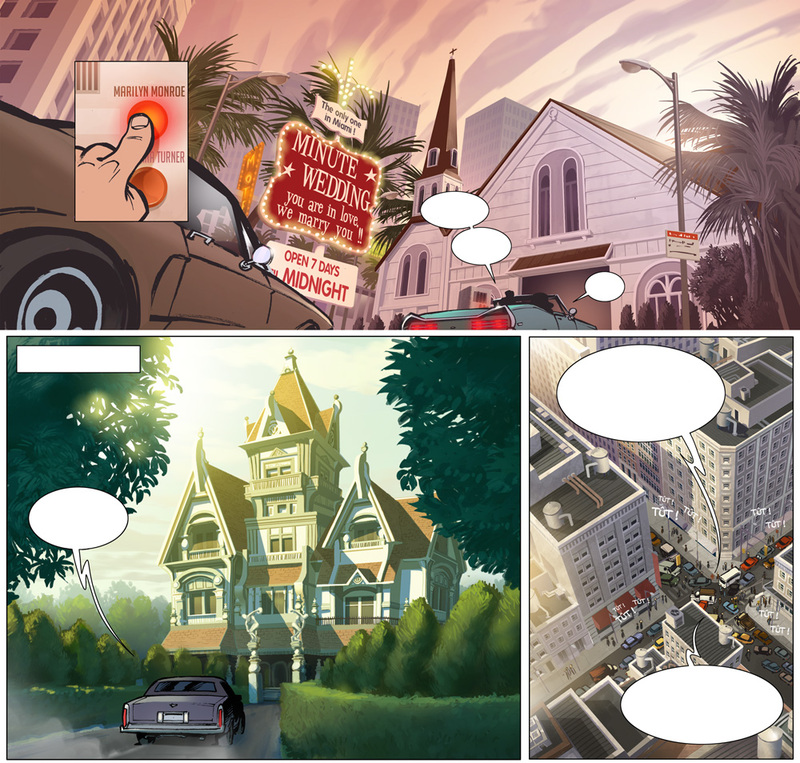 Super boulot sur ces backgrounds. J'adore le contraste entre les plans. Wonderful! Especially that mansion shot. Wonderful! Amazing that you're able to keep up this kind if quality for sequential art. Be sure to tell us when it's out, I'd love to buy one. Patrick : I'll sure do ! Thanks for your kind words ! Really appreciated, as usual !